The Union in Chains event will see several members of the Union get new versions of their characters being recruited into different Guilds. These figures aren't just going to get a new stat card and you use the old mini. Oh no. 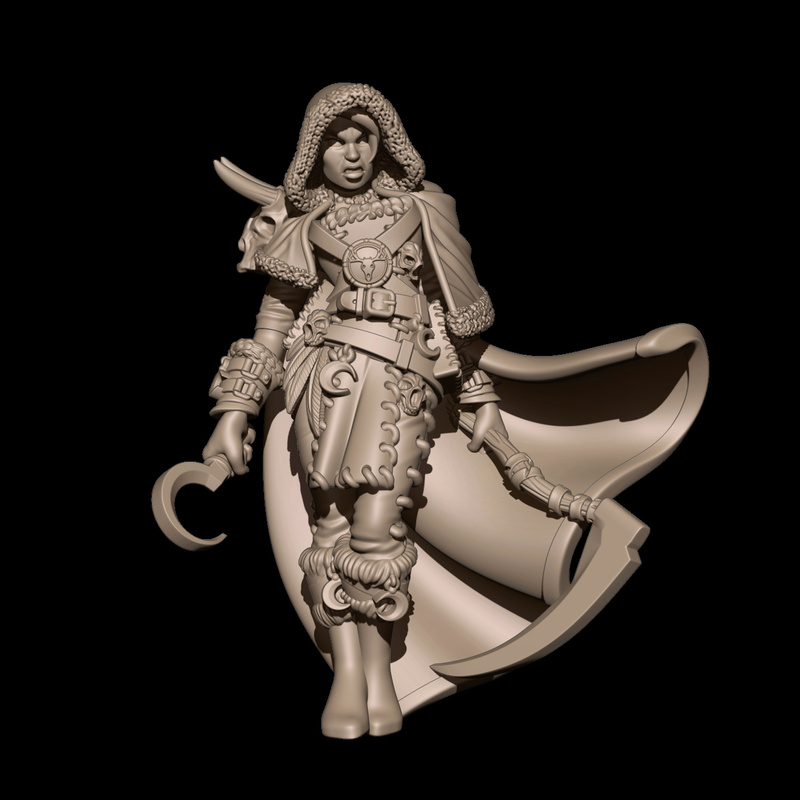 They're all getting new sculpts. The first we get to look at is Hemlocke, who will end up with either the Hunters or Morticians. 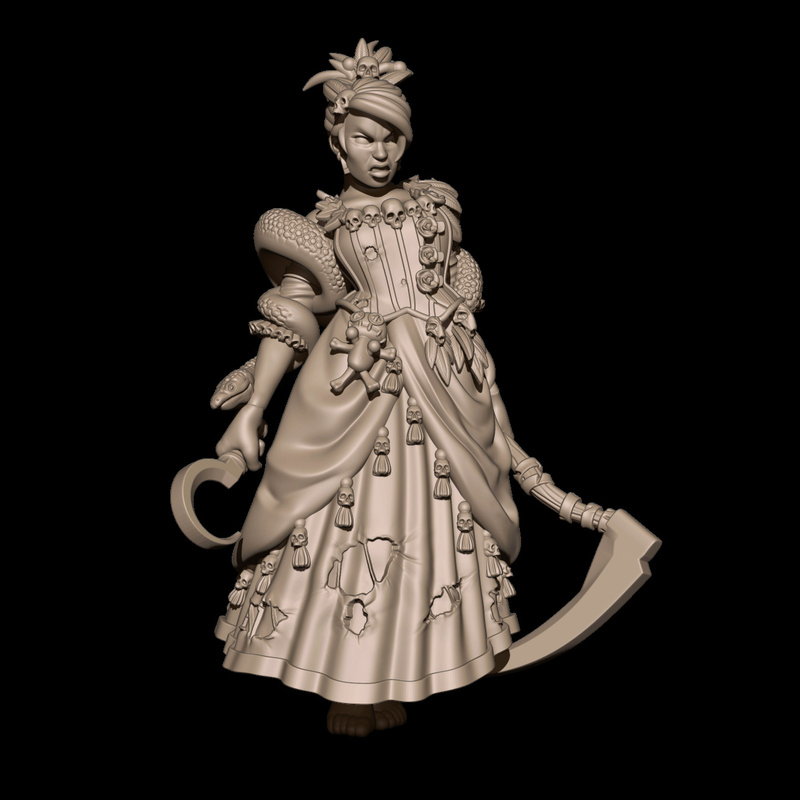 This week we'll be continuing the Guild Ball narrative as we follow Hemlocke are her interactions with the Solthecian Church. So who will you be supporting; The Mortician's Guild or The Hunter's Guild? Only one of these sculpts will ever see the light of day and the other will be cast off to the recycling bin.